"Happiness and spiritual growth are connected. Being peaceful and being happy form the most important foundation of spiritual practice. Then the practice goes by itself." Mother Meera is an incarnation of the Divine Mother and gives Darshan, Her silent bestowal of Grace and Light through Her gaze and touch. Mother gives Darshan in silence. It is Her gift to humanity. Darshan is free, however reservations are required. 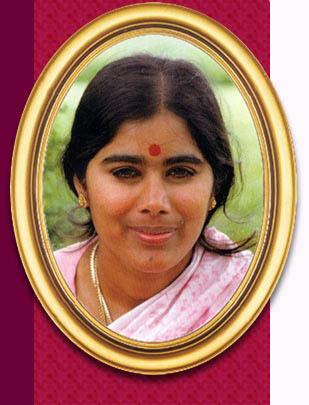 If you have personal questions for Mother Meera, you can call Her on Darshan Days. You can ask your questions through her Secretary. Check back for details.